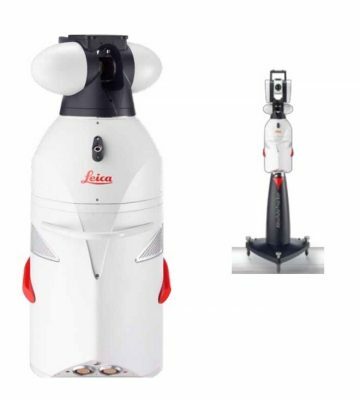 The Leica Absolute Tracker AT901 is a portable measurement system that relies on a laser beam to accurately measure and inspect in a spherical volume of up to 160 m [525 ft.] It is equipped with PowerLock which allows the 901 to lock on to the target automatically as soon as it is within view of the sensor. This allows the operator to focus on the part they need to measure without constantly worrying about the laser tracker and whether or not they have broken the beam. The AT901 can gather 3D coordinates in 3 ways: by following a small mirrored sphere, also known as a reflector; by tracking a Leica T-Probe, a hand-held “walk-around” wireless contact probe; or by tracking a Leica T-Scan, a contactless high-speed laser scanner. Which measurement method you should use will depend on your application. This is the laser tracker that set the new benchmark for aerospace and other large scale precision measurements such as windmill blade inspection or industrial machinery alignment. 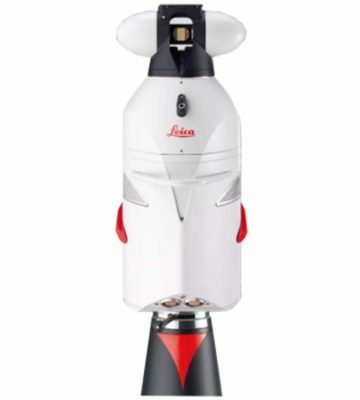 The Leica AT901 can be used in numerous industries including: Aerospace, Automotive, Power Generation, Defence etc. PowerLock vision technology completely changes the way that laser trackers have been used. No longer do operators have to worry about the laser beam, they can simply measure what is needed and let the tracker lock on to them! The AIFM is a single distancing unit with the dynamic performance of an interferometer, and it has the ability to re-acquire a moving target with the typical uncertainty of lock-on process being less than 5 μm. By adding photogrammetric capabilities to the laser tracker, Leica Geosystems created the world’s only technologically mature PCMM system that can probe like a fixed CMM, scan like a laser scanner and track automated applications – all in one system. Thanks to the AIFM, PowerLock and its capability to deliver real-time measurement data, the Leica Absolute Tracker AT 901 is a captivating piece of technology enabling high intensity measurement applications, e.g. automated systems.